The glass fiber with pink binder is evident running diagonally in the upper left quadrent of this field of view. 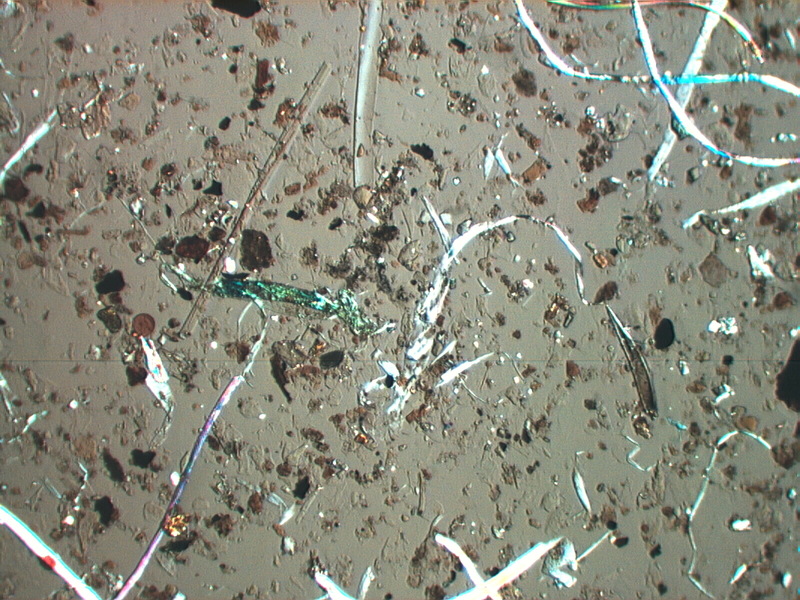 This is clearly an indoor settled dust sample based on the large number of human skin flakes present along with the clothing fiber. The plant parts, pollens, spores, tire wear, natural minerals, and other outside debris indicate that this indoor space is ventilated by open windows or doors. This sample was a tapelift from the top of a filing cabinet near a window on the third floor of an old office building.